Calling All Choreographers: It's A.C.E. Awards Time! Hello all you lovely, creative people! Are you possibly the world's next choreographic genius? Do you want $15,000 to produce your very own show? Of course you are—we've seen how much talent y'all have!—and of course you do. Which makes us especially happy to announce that the 2016 Capezio A.C.E. Awards competition is now accepting submissions. A little background: Each year, the A.C.E. (Award for Choreographic Excellence) Awards invites 15 gifted dancemakers to present their best work at the Dance Teacher Summit. 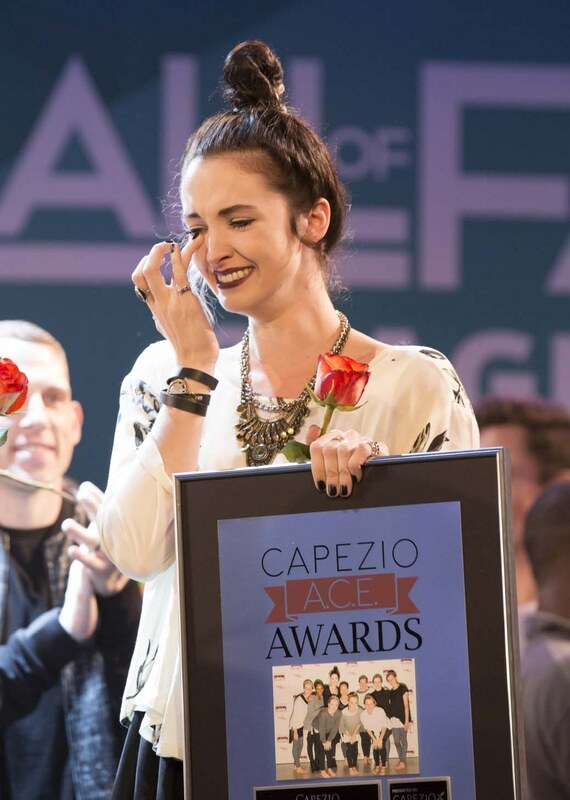 Three winners from that group, chosen by reps from Capezio and Dance Teacher magazine, receive funds to produce a full-length show, with $15,000 being the top prize. And in case you're wondering just how legit the A.C.E. Awards are, please note that past winners include Travis Wall, Peter Chu, Al Blackstone, Melinda Sullivan and Talia Favia. BOOM. Anyway, entering the contest is easy: Just upload your best choreography video to dancemedia.com anytime between now and May 2. 15 semifinalists will get to present their choreo at the NYC Dance Teacher Summit, which will be held July 29–31; winners will be announced there. Questions? You can find all the rules and regulations (plus more delicious details about the prizes) here.